Cars on the road today all look pretty similar from the outside, whether they’re gasoline-fueled or electric. On the inside, they’re fairly similar too. Even between the two kinds of car, you can probably get away with swapping parts like the air conditioner, the tires, or the seat belts. Although cars have changed over the years, these things haven’t changed all that much. The engine, though, is a different story. All the working parts of that Nissan Leaf engine have “evolved” together into a very different engine from the one in that Ford Mustang. They both have engines, but the parts aren’t really interchangeable any more. We can think of yeast and human cells like this too. We’ve known for a while that we humans have quite a bit in common with our favorite little workhorse S. cerevisiae. But until now, no one had any idea how common it was for yeast-human pairs of similar-looking proteins to function so similarly that they are interchangeable between organisms. In a study published last week in Science, Kachroo and colleagues looked at this question by systematically replacing a large set of essential yeast genes with their human orthologs. Amazingly, they found that almost half of the human proteins could keep the yeast mutants alive. Also surprising was that the degree of similarity between the yeast and human proteins wasn’t always the most important factor in whether the proteins could be interchanged. Instead, membership in a gene module—a set of genes encoding proteins that act in a group, such as a complex or pathway—was an important predictor. The authors found that genes within a given module tended to be either mostly interchangeable or mostly not interchangeable, suggesting that if one protein changes during evolution, then the proteins with which it interacts may need to evolve as well. 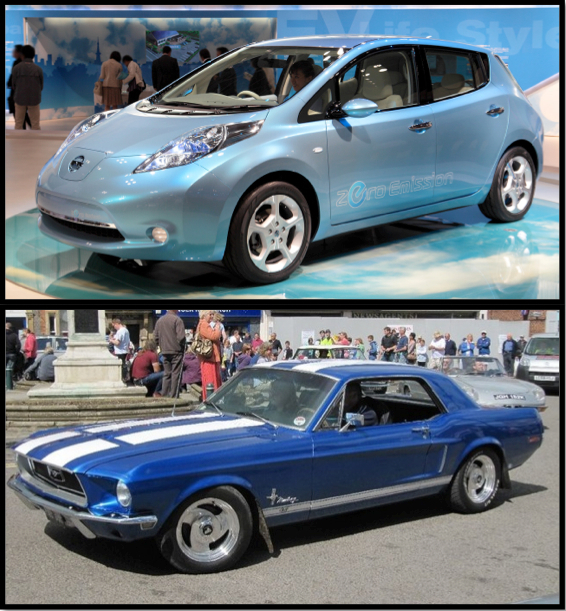 So we can trade air conditioner parts between the Leaf and the Mustang, but the Mustang’s spark plugs won’t do a thing in that newly evolved electric engine! To begin their systematic survey, Kachroo and colleagues chose a set of 414 yeast genes that are essential for life and have a single human ortholog. They cloned the human cDNAs in plasmids for yeast expression, and transformed them into yeast that were mutant in the orthologous gene to see if the human gene would supply the missing yeast function. They tested complementation using three different assays. In one, the human ortholog was transformed into a strain where expression of the yeast gene was under control of a tetracycline-repressible promoter. So if the human gene complemented the yeast mutation, it would be able to keep the yeast alive in the presence of tetracycline. Another assay used temperature-sensitive mutants in the yeast genes and looked to see if the human orthologs could support yeast growth at the restrictive temperature. And the third assay tested whether a yeast haploid null mutant strain carrying the human gene could be recovered after sporulation of the heterozygous null diploid. Remarkably, 176 human genes could keep the corresponding yeast mutant alive in at least one of these assays. A survey of the literature for additional examples brought the total to 199, or 47% of the tested set. After a billion years of separate evolution, yeast and humans still have hundreds of interchangeable parts! That was the first big surprise. But the researchers didn’t stop there. They wondered what distinguished the genes that were interchangeable from those that weren’t. The simplest explanation would seem to be that the more similar the two proteins, the more likely they would work the same way. But biology is never so simple, is it? While it was true that human proteins with greater than 50% amino acid identity to yeast proteins were more likely to be able to replace their yeast equivalents, and that those with less than 20% amino acid identity were least likely to function in yeast, those in between did not follow the same rules. There was no correlation between similarity and interchangeability in ortholog pairs with 20-50% identity. After comparing 104 different types of quantitative data on each ortholog pair, including codon usage, gene expression levels, and so on, the authors found only one good predictor. If one yeast protein in a protein complex or pathway could be exchanged with its human ortholog, then usually most of the rest of the proteins in that complex or pathway could too. All of the genes that that make the proteins in these systems are said to be part of a gene module. Kachroo and colleagues found that most or all of the genes in a particular module were likely to be in the same class, either interchangeable or not. We can trade pretty much all of the parts between the radios of a Leaf and a Mustang, but none of the engine parts. For example, none of the tested subunits of three different, conserved protein complexes (the TriC chaperone complex, origin recognition complex, and MCM complex) could complement the equivalent yeast mutations. But in contrast, 17 out of 19 tested genes in the sterol biosynthesis pathway were interchangeable. Even within a single large complex, the proteasome, the subunits of one sub-complex, the alpha ring, were largely interchangeable while those of another sub-complex, the beta ring, were not. The researchers tested whether this trend was conserved across other species by testing complementation by proteasome subunit genes from Saccharomyces kluyveri, the nematode Caenorhabditis elegans, and the African clawed frog Xenopus laevis. Sure enough, alpha ring subunits from these organisms complemented the S. cerevisiae mutations, while beta ring subunits did not. These results suggest that selection pressures operate similarly on all the genes in a module. And if proteins continue to interact across evolution, they can diverge widely in some regions while their interaction interfaces stay more conserved, so that orthologs from different species are more likely to be interchangeable. The finding that interchangeability is so common has huge implications for research on human proteins. It’s now conceivable to “humanize” an entire pathway or complex, replacing the yeast genes with their human equivalents. And that means that all of the versatile tools of yeast genetics and molecular biology can be brought to bear on the human genes and proteins. At SGD we’ve always known that yeast has a lot to say about human health and disease. With the growing body of work in these areas, we’re expanding our coverage of yeast-human orthology, cross-species functional complementation, and studies of human disease-associated genes in yeast. Watch this space as we announce new data in YeastMine, in download files, and on SGD web pages. 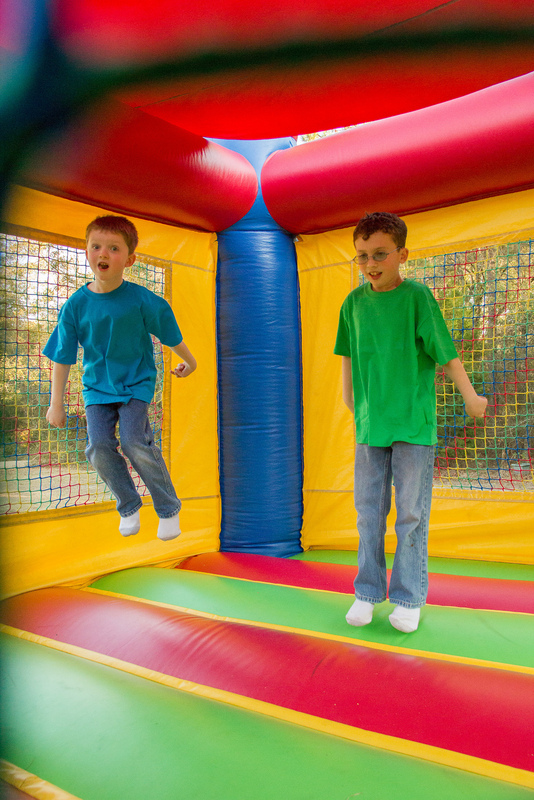 Bounce houses are a great way for kids to burn off their excess energy. They can bounce off the floor and walls and scream to their hearts’ content. Of course, adults need to keep an eye on how many kids are in the house at any one time, to keep things safe. And if one child starts to push and kick the others, it might be easier to restore calm if the adults are careful about how many kids, and which ones, they allow inside. The yeast mitochondrion is actually a lot like a bounce house. It’s full of energy, and it has multiple gatekeepers—protein complexes in the mitochondrial membrane that imported proteins must pass through on their way in. And, just like a bounce house, things can go very wrong inside the mitochondrion if its proteins don’t behave properly. The end result isn’t just an upset child with a black eye, either. Genetic diseases that affect mitochondrial function are among the most severe and the hardest to treat. Now, described in a new paper in Nature Communications, Aiyar and colleagues have used a yeast model of human mitochondrial disease to discover both a drug and a genetic means to regulate a mitochondrial import complex. Surprisingly, tweaking mitochondrial import slightly by either of these methods mitigated the disease symptoms in both yeast and human cells. They found a gatekeeper who can make sure there is the right number of kids in the bounce house and that they’re all behaving properly (at least, as well as they can!). The researchers were interested in mitochondrial disorders that affected ATP synthase. This huge molecular machine in the mitochondrial inner membrane is responsible for generating most of the cell’s energy, so if it doesn’t work properly it can be a disaster for both yeast and human cells. Aiyar and coworkers used a genetic trick to create a yeast model that had lower amounts of functional ATP synthase. This mimics many mitochondrial disorders. They were able to reduce the amount of functional ATP synthase by using an fmc1 null mutant. Fmc1p is involved in assembly of the complex, so the fmc1 null mutant has lower amounts of functional ATP synthase and a reduced respiration rate. First, they looked for a drug that would mitigate the effects of the fmc1 mutation. They tested the drugs in a collection that had already been FDA approved—a drug repurposing library—to see if any would improve the mutant’s respiratory growth. 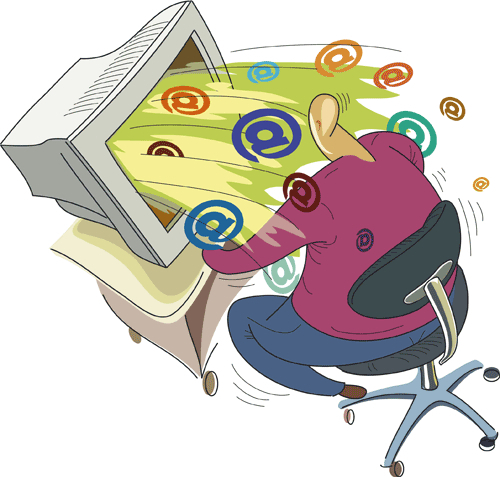 The one candidate drug that emerged from the screen was sodium pyrithione (NaPT), which is used as an antiseptic. Not only did it improve the respiration of the yeast fmc1 mutant, it also improved the respiratory growth of a human cell line carrying the atp6-T8993G mutation found in patients with neuropathy, ataxia and retinitis pigmentosa (NARP, one type of ATP synthase disorder). Aiyar and colleagues wondered exactly what was being affected by the NaPT. To figure this out, they used the S. cerevisiae genome-wide heterozygous deletion mutant collection. This is a set of diploid strains, each heterozygous for a null mutation of a different gene, that has been an incredibly useful resource for all kinds of studies in yeast. They tested the effect of NaPT on each of the mutant strains and found that strains with mutations in the TIM17 and TIM23 genes were among the most sensitive. And, when they checked the data from previous chemogenomic screens, they saw that these two mutants were much more sensitive to NaPT than to any other drug, showing that the effect was specific. TIM17 and TIM23 are both subunits of the Tim23 complex in the mitochondrial inner membrane that acts as a gate for many of the proteins that end up in mitochondria. The researchers found that NaPT specifically inhibited the function of this mitochondrial gatekeeper complex in an in vitro mitochondrial import assay, confirming its selectivity. So, Aiyar and coworkers had found a drug that alleviates the effects of an ATP synthase disorder by modulating the function of a mitochondrial gatekeeper. This in itself was a huge advance: the discovery that a potentially useful, already-approved drug has a specific effect on this disease phenotype. However, the scientists took things a step further by looking to see whether a genetic therapy could accomplish the same thing as the drug. It was already known that overexpressing Tim21p, a regulatory subunit of the Tim23 complex, could modulate the function of the complex similarly to the effects they had seen for NaPT. So the researchers tested whether overexpressing Tim21p would improve respiratory growth of the fmc1 mutant. Sure enough, it did. Consistent with this, assembly of the respiratory enzyme complexes of the mitochondrial inner membrane was more efficient when Tim21p was overexpressed. Most importantly, overexpression of Tim21p in the fmc1 mutant cells caused their total ATP synthesis to more than double. And even more exciting was the discovery that overexpressing TIMM21, the human ortholog of TIM21, in the NARP disease human cell line improved survival of those cells. So, just like a parent deciding how many kids should be in a bounce house so that everyone has a good time, the Tim23 complex can be made to “decide” which proteins, or perhaps how many proteins, get into mitochondria, with the end result that ATP synthesis happens as efficiently as possible. The exact mechanism of this effect is still unclear, but it is clear that modulating import in this way can improve mitochondrial health even when disease mutant proteins are present. The next step will be to translate this discovery into therapies that will help mitochondrial disease patients. People with various mitochondrial disorders may finally be able to turn their mitochondria into safe, fun places. What’s for dinner tonight? For many of us the answer will be “pasta with tomato sauce”, even if we don’t have Italian roots. But as you know, there isn’t any single recipe for homemade tomato sauce. Onions and garlic, or just garlic? Pork, beef, or no meat at all? How many bay leaves go in the pot? 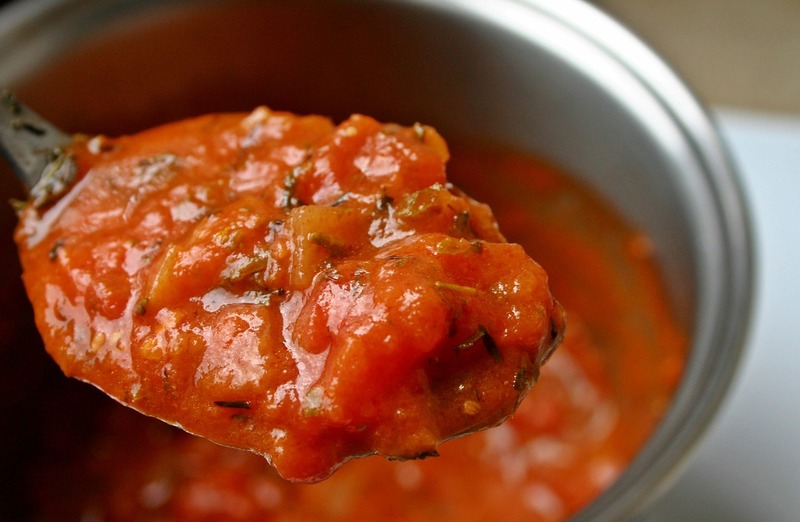 Every cook will use a slightly different combination of ingredients, but all will end up with tomato sauce. This isn’t just an academic exercise either. GAL7 is the ortholog of the human GALT gene, which when mutated leads to the disease galactosemia. And just like in yeast, people with different genetic backgrounds may do better or worse when both copies of their GALT gene are mutated. GAL7 and GALT encode an enzyme, galactose-1-phosphate uridyl transferase, that breaks down the sugar galactose. If people with this mutation eat galactose, the toxic compound galactose-1-phosphate accumulates; this can cause serious symptoms or even death. The same is often true for yeast with a mutated GAL7 gene. Ideally we would want to be able to predict how severe the symptoms of galactosemia would be, based on a patient’s genetic background. So far, though, it’s been a challenge to identify comprehensively the whole set of genes that affect a given human phenotype. Which is why Sirr and colleagues turned to our friend S. cerevisiae to study alleles affecting the highly conserved galactose utilization pathway. The researchers started with two very divergent yeast strains, one isolated from a canyon in Israel and the other from an oak tree in Pennsylvania. Both were able to utilize galactose normally, but the scientists made them “galactosemic” by knocking out the GAL7 gene in each. After mating the strains to create a galactosemic diploid, the researchers needed to let the strain sporulate and isolate haploid progeny. But its sporulation efficiency wasn’t very good, only about 20%. And they needed to have millions of progeny to get a comprehensive look at genetic backgrounds. To isolate a virtually pure population of haploid progeny, Sirr and coworkers came up with a neat trick. They added a green fluorescent protein gene to the strain and put it under control of a sporulation-specific promoter. Cells that were undergoing sporulation would fluoresce and could be separated from the others by fluorescence-activated cell sorting (FACS). The FACS technique also allowed sorting by size, so they could select complete tetrads containing four haploid spores and discard incomplete products of meiosis such as dyads containing only two spores. After using this step to isolate tetrads, the researchers broke them open to free the spores and put them on Petri dishes containing galactose—an amount that was enough to kill either of the parent strains. One in a thousand spores was able to survive the galactose toxicity. Recombination between the divergent alleles from the two parent strains somehow came up with the right combination of alleles for a survival sauce. Sirr and colleagues individually genotyped 247 of the surviving progeny, using partial genome sequencing. They mapped QTLs (quantitative trait loci) to identify genomic regions associated with survival. If they found a particular allele in the survivors more often than would be expected by chance, that was a clue that a gene in that region had a role in survival. We don’t have the space here to do justice to the details of the results, but we can summarize by saying that a whole variety of factors contributed to the galactose tolerance of the surviving progeny. They had three major QTLs, regions where multiple alleles were over- or under-represented. The QTLs were centered on genes involved in sugar metabolism: GAL3 and GAL80, both involved in transcriptional regulation of galactose utilization genes, and three hexose transporter genes (HXT3, HXT6, and HXT7) that are located very close to each other. It makes sense that all of these genes could affect galactosemia. Gal3p and Gal80p are regulators of the pathway, so alleles of these genes that make galactose catabolism less active would result in less production of toxic intermediates. And although the hexose transporters don’t transport galactose as their preferred substrates, they may induce the pathway by allowing a little galactose into the cell. So less active alleles of these transporters would also result in less galactose catabolism. Another event that occurred in over half of the surviving progeny was aneuploidy (altered chromosome number), most often an extra copy of chromosome XIII where the GAL80 gene is located. The same three QTL peaks were also seen in the disomic strains, though, leading the authors to conclude that the extra chromosome alone was not sufficient for survival of galactosemia. And finally, some rare non-genetic events contributed to survival of the progeny. The authors discovered this when they found that the galactose tolerance of some of the progeny wasn’t stably inherited. This could result from differences in protein levels between individual cells. For example, if one cell happened to have lower levels of a galactose transporter than other cells, it might be more resistant to galactose. The take-home message here is that there are many different ways to get to the same phenotype. The new method that they developed allowed the researchers to see rare combinations of alleles in large numbers of individual progeny, in contrast to other genotyping methods where progeny are pooled and only the average can be detected. For any disease or trait the ultimate goal is to identify all the alleles of all the genes that influence it. Imagine the impact on human health, if we could look at a person’s genotype and accurately predict their phenotype! So far, it’s been a challenge to identify these large sets of human genes in a comprehensive way. But this approach using yeast could provide a feast of data to help us understand monogenic diseases like galactosemia, cystic fibrosis, porphyria, and many more, and maybe even more complex traits and diseases. Now that’s an appetizing prospect for human disease researchers. Buon appetito! Say you want to send a letter to your friend on the other side of the country. First off you’ll need to put the right address and postage on the envelope. Then you’ll need the U.S. Postal Service (USPS) to take your letter and deliver it to the right person. The stamp tells the USPS to deliver the letter, and the address indicates where it should be delivered (unimpeded by snow nor rain nor heat nor gloom of night, of course!). It turns out something similar happens in human cells with aggregated proteins. Aggregated proteins are “stamped” by attachment of the small protein ubiquitin and “addressed” to the Atg8 protein. Atg8p triggers the aggregated proteins’ incorporation into autophagosomes for eventual degradation in the lysosome. And just as it can be devastating if your mail doesn’t get to where it needs to go, so too can it be devastating for these aggregates to accumulate instead of being properly delivered. A buildup of these aggregates is a big factor in Alzheimer’s and Huntington’s diseases. Enter the cellular USPS. Just as is the case for a prepared letter, the human cell has a service that delivers the ubiquinated proteins to the autophagosome, in the form of the protein adaptor p62 (SQSTM1) and its relative, NBR1. These adaptor proteins can act as a postal service because they recognize both the aggregated proteins’ stamp (ubiquitin) and their addressee (Atg8p). Specifically, they each possess an ubiquitin-conjugate binding domain (UBA) and an Atg8-interacting motif (AIM). The protein p62 in particular has been shown to associate with protein aggregates linked to neurodegenerative diseases like Huntington’s disease. In a new paper published in Cell, Lu et al. asked whether there is a link between the ubiquitin and autophagy systems in yeast. If so, yeast might provide some clues about diseases like Huntington’s. Proteins stamped with ubiquitin are known to be addressed to the proteasome for degradation in yeast, but no link between ubiquitination and autophagy had previously been seen, even though many central components of autophagy were actually first described in yeast. Indeed, the authors showed that cells specifically deficient in the autophagy pathway (atg8∆, atg1∆, or atg7∆), accumulated ubiquitin conjugates under autophagy-inducing conditions. This suggests that the ubiquitin and autophagy pathways are connected in yeast, as is the case for humans. Next, the researchers looked to see if there is an adaptor in yeast analogous to p62 in humans. When they pulled down proteins that bind yeast Atg8p under starvation conditions, they found ubiquitin conjugates and, using mass spectrometry, further identified peptides from a few other proteins – one of which was Cue5p. Could Cue5p, like p62 in humans, be the postal service that recognizes both stamped ubiquitin conjugates and the addressee Atg8p in yeast? Strikingly, Cue5p had both a CUE domain that binds ubiquitin and an Atg8p-interacting motif (AIM). The authors confirmed in vivo that Cue5p binds ubiquitin conjugates and Atg8p using these domains, particularly under starvation conditions. They also showed that it acts specifically at the stage of ubiquitin-conjugate recognition and on aggregated proteins, without affecting the process of autophagy itself. Given that Cue5p functions similarly to p62 and p62 is known to associate with protein aggregates involved in neurodegenerative disease, Lu et al. were quick to look for Cue5p substrates. Analyzing ubiquitin-conjugated proteins that accumulated in cue5 mutant cells, they identified 24 different proteins. Although these 24 Cue5p substrates had diverse functions, the common thread was that many had a tendency to aggregate under certain conditions such as high temperature. Could Cue5p then actually facilitate removal of cytotoxic protein aggregates in neurodegenerative diseases? Indeed, the authors showed that CUE5 helped clear cytotoxic variants of the human huntingtin protein (Htt-96Q) when it was expressed in yeast, and that Htt-96Q is ubiquitinated in yeast. These experiments started with an observation in human cells that prompted discovery of an analogous system and adaptor protein in yeast. Now the authors turned the tables and used yeast to look for new adaptor proteins in human cells. Using bioinformatics, they identified a human CUE-domain protein, Tollip, which, although different in its domain organization from Cue5p, contains 2 AIM motifs. To make a long story (and a lot of work!) short, they showed that Tollip binds both human Atg8p and ubiquitin conjugates and clears cytotoxic variants of huntingtin in human cells. Expressed in yeast, it similarly binds ubiquitin conjugates and Atg8p and suppresses the hypersensitivity of cue5∆ cells to the variant huntingtin protein Htt-96Q. So Tollip is a newly defined adaptor protein and functional homolog of Cue5p! 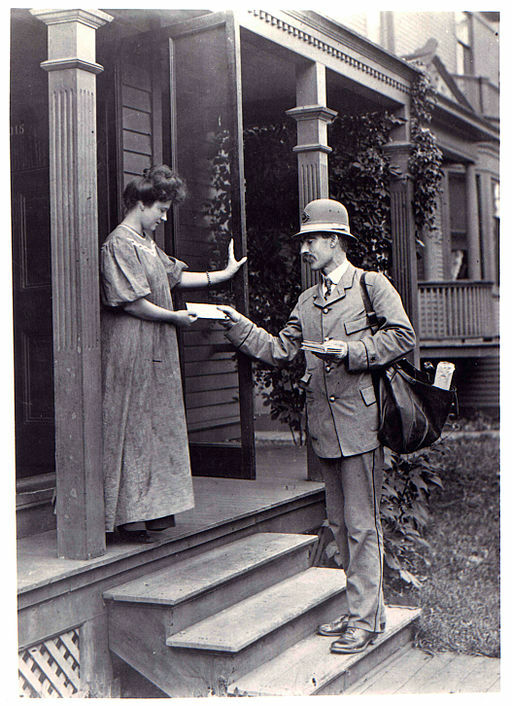 Letter carriers of one sort or another have been around for as long as human civilization has existed, from homing pigeons to FedEx. Now we know that for even longer, cells from yeast to human have been using similar ways to recognize stamped proteins and deliver them to the right address. And once again, yeast has helped us understand the inner secrets of human cells. In the art of rock balancing, the artist positions large rocks with exquisite precision. 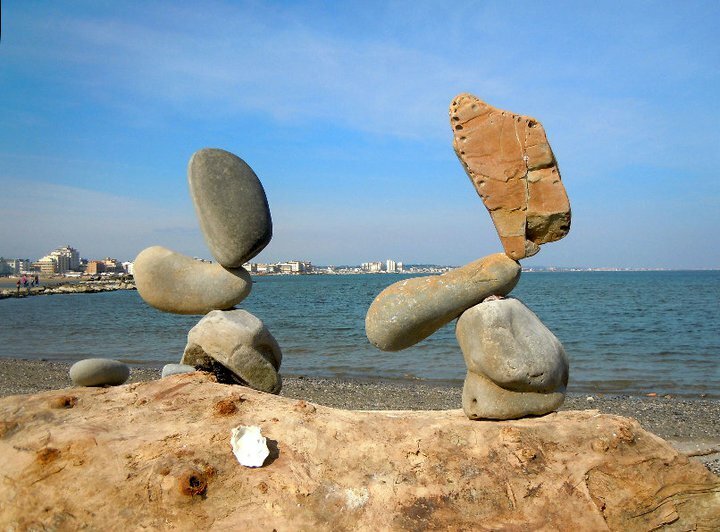 If he or she succeeds, the rocks counterbalance each other and stay in seemingly impossible positions to make a surprising and beautiful sculpture. But a little uneven pressure is enough to make the whole thing collapse. It turns out that the cellular acetylation state is just as precisely balanced. In a new GENETICS paper, Torres-Machorro and Pillus identify Esa1p, an acetyltransferase, as the balancing artist in Saccharomyces cerevisiae cells. Acetylation is an important type of protein modification. Histones, the proteins that interact with DNA to provide structure to chromosomes, are acetylated by histone acetyltransferases (HATs) and deacetylated by histone deacetylases (HDACs). Some HATs and HDACs also act on non-histone proteins. The acetylation state in a cell is a dynamic process. All those HATs are adding acetyl groups at the same time that HDACs are removing them. The final level of acetylation depends on the activities of each of these classes of proteins. Acetylation of histones has been associated with increases in gene expression and deacetylation with decreases. So to keep gene expression levels in balance, it is very important to keep acetylation balanced as well. Throwing acetylation patterns just a bit out of whack can have profound consequences on global gene expression that can ultimately lead to cell death. The authors focused on one particular HAT, Esa1p, that acetylates histones H4 and H2A and also has non-histone targets. They were intrigued by the fact that yeast cells cannot survive without Esa1p, since no other HAT or HDAC subunit is essential in yeast. An obvious explanation for lethality is that losing this protein leads to too low a level of acetylation. They reasoned that if they also knocked out an HDAC, then the overall acetylation levels might increase and so rescue the esa1 null mutant. And they were right. Using a plasmid-shuffling method, they created various double mutant strains of esa1 and HDAC genes, and found that a strain that was mutant in esa1 and also in either the SDS3 or DEP1 genes was viable. SDS3 and DEP1 both encode subunits of the Rpd3L HDAC complex. Torres-Machorro and Pillus next characterized the esa1 sds3 double mutant further. They found that although the sds3 mutation suppressed the inviability of the esa1 mutant, it did not suppress other phenotypes such as sensitivity to high temperature and DNA damaging agents. The authors found that the sds3 mutation subtly increased histone H4 acetylation, which was low in the absence of Esa1p. However, acetylation levels of a different histone, H3, remained high even in the absence of Esa1p. This suggested that the fundamental problem in the esa1 null mutant was an imbalance in the global state of histone acetylation. To test this hypothesis, the researchers used a variety of different genetic methods to tweak the balance of cellular acetylation in the esa1 sds3 mutant. They created mutations in histones H3 and H4 that made it seem as if acetylation was low or high, and they also mutated other genes for HDAC subunits. It is as if they were passers-by who decided to poke at a balanced rock sculpture to see what it took to bring the whole thing down. Although the details are too numerous to report here, the results showed that by using these genetic methods to tweak the overall acetylation state of the cell, the fitness of the esa1 sds3 strain could be improved: phenotypes such as slow growth, sensitivity to high temperature or DNA damaging agents, or cell cycle defects were suppressed to some extent by the various manipulations. This lends support to the hypothesis that Esa1p is the master balancer of acetylation levels in the cell and that this is its essential function. This balancing act may happen in human cells too. Esa1p has a human ortholog, TIP60, that has been implicated in cancer and other diseases. Like Esa1p, TIP60 is essential and is involved in the DNA damage response. So yeast teaches us that the acetylation of proteins is balanced on a knife’s edge. Even the slightest changes can lead to a collapse in global gene regulation, which can have catastrophic effects like cancer. All that we learn about Esa1p, the acetylation balancing artist, may have much broader implications for human health. Imagine the heater at your house is run by a homemade copper-zinc battery. You are counting on a delivery of a copper solution that will keep the thing going. Unfortunately it fails to come, which means the battery doesn’t work and you are left out in the cold. Turns out that something similar can happen in cells too. 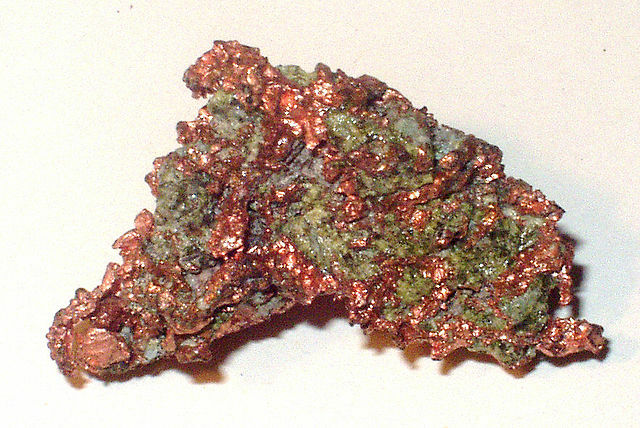 The respiratory chain that makes most of our energy needs copper to work. In a recent study, Ghosh and coworkers showed that if Coa6p doesn’t do its job delivering copper to the respiratory chain, the cell can’t make enough energy. This isn’t just interesting biology. In this same study, the researchers showed that mutations in the COA6 gene cause devastating disease in humans and zebrafish. And their discovery that added copper can cure the “disease” in yeast just might have therapeutic applications for humans. The respiratory chain is a group of large enzyme complexes that sit in the mitochondrial inner membrane and pass electrons from one to another during cellular respiration. This process generates most of the energy that a cell needs. Hundreds of genes, in both the nuclear and mitochondrial genomes, are involved in keeping this respiratory chain working. Yeast has been the ideal experimental organism for studying these genes, because it can survive just fine without respiration. If it can’t respire for any reason, yeast simply switches over to fermentation, generating the alcohol and CO2 byproducts that we know and love. Human cells aren’t as versatile though. Genes involved in respiration can cause mitochondrial respiratory chain disease (MRCD) when mutated. This is one of the most common kinds of genetic defect, with over 100 different genes known so far that can cause this phenotype. Ghosh and colleagues wondered whether there were as-yet-unidentified human genes involved in maintaining the respiratory chain. They reasoned that any such genes would be highly conserved across species, because they are so important to life, and that the proteins they encoded would localize to mitochondria. One of the candidates, C1orf31, caught their eye for a couple of reasons. First, some variations in this gene had been found in the DNA of a MRCD patient. And second, the yeast homolog, COA6, encoded a mitochondrial protein that had been implicated in assembly of one of the respiratory complexes, Complex IV or cytochrome c oxidase. They first did some more detailed characterization of COA6 in yeast. They were able to verify that the coa6 null mutant had reduced respiratory growth because it had lower levels of fully assembled Complex IV. They also looked to see what happens in human cell culture. When they knocked down expression of the human homolog, they also saw less assembly of Complex IV. This suggested that the function of this protein is conserved across species. Next they turned to a sequencing study of an MRCD patient who had, sadly, died of a heart defect (hypertrophic cardiomyopathy) before reaching his first birthday. The sequence showed a mutation in a conserved cysteine-containing motif of COA6. To see whether this might be the cause of the defect, they created the analogous mutation in yeast COA6. The mutant protein was completely nonfunctional in yeast. To nail down the physiological role of COA6 in a multicellular organism, they turned to zebrafish. The embryos of these fish are transparent, so it’s easy to follow organ development. Given the phenotype, the fact that they can live without a functional cardiovascular system for a few days after fertilization was important too. When the researchers knocked down expression of COA6 in zebrafish, they found that the embryos’ hearts failed to develop normally and they eventually died. The abnormal development of the fish hearts paralleled that seen in the human MRCD patient carrying the C1orf31/COA6 mutation. And reduced levels of Complex IV were present in the fish embryos. Going back to yeast for one more experiment, Ghosh and colleagues decided to see whether Coa6p might be involved in delivering copper to Complex IV. They knew that Complex IV uses copper ions as a cofactor, and furthermore Coa6p had similarities to several other yeast proteins that are known to be involved in the copper delivery. They tested this by supplying the coa6 null mutant with large amounts of copper. Sure enough, its respiratory growth defect and Complex IV assembly problems were reversed. The delivery of copper kept the energy flowing in these cells. And this result showed that Coa6p is involved in getting copper to Complex IV. These experiments showcase the need for model organism research even in the face of ever more sophisticated techniques applied to human cells. The mutation in human C1orf31/COA6 was discovered in a next-generation sequencing study, but yeast genetics established the relationship between the mutation and its phenotype. The zebrafish system allowed the researchers to follow the effects of the mutation in an embryo from the earliest moments after fertilization. And the rescue of the yeast mutant by copper supplementation offers an intriguing therapeutic possibility for some types of MRCD. Just another testament to the awesome power of model organism research! YeastMine now lets you explore human homologs and disease phenotypes. Enter “COA6” into the template Yeast Gene -> OMIM Human Homolog(s) -> OMIM Disease Phenotype(s) to link to the Gene page for human COA6 (the connection between COA6 and disease is too new to be represented in OMIM). To browse some diseases related to mitochondrial function, enter “mitochondrial” into the template OMIM Disease Phenotype(s) -> Human Gene(s) -> Yeast Homolog(s). Fireworks shells all pretty much look the same from the outside. They definitely all make the same boom when they’re launched. But when they burst in the air, each different kind creates a different shimmering pattern. It turns out that the same is true for yeast strains carrying mutator alleles. These are mutant alleles of genes that normally stop mutations from happening. When these genes are disabled, a strain eventually accumulates lots of extra mutations. Mutator strains tend to look similar from the outside; many are deficient in DNA replication and repair pathways. 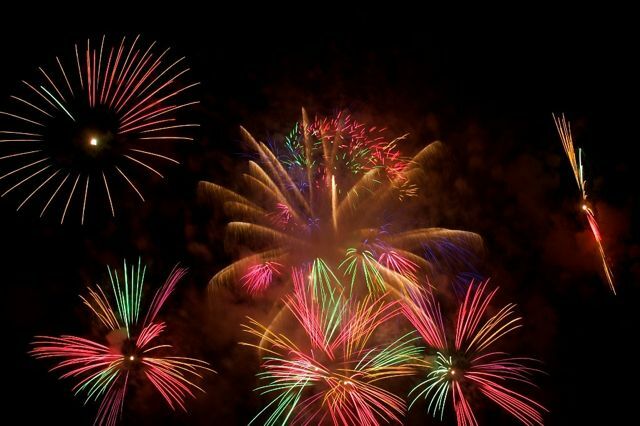 But, in a new paper in GENETICS, Stirling and coworkers show that like different firework shells, each strain ends up with a distinct pattern of secondary mutations bursting across their respective genomes. Not only is this fascinating information about how yeast maintains its genomic integrity, but it may also provide valuable insights into how cancers progress. Mutator genes have been found previously using the knockout collection of mutations in nonessential genes. But, not surprisingly, many genes required for genome maintenance are essential to life. So the first step by Stirling and coworkers was to expand the list of mutator genes by screening conditional mutant alleles of essential genes. Using an assay for mutation frequency that counts canavanine resistance mutations arising in the CAN1 gene, they came up with 47 alleles in 38 essential genes that caused a mutator phenotype. But this standard assay for mutator phenotype has its limitations: the only mutations that can be detected are those that fall in or near the CAN1 gene, and inactivate it. So that they could look at the full spectrum of mutations arising in the mutator strains, Stirling and coworkers decided to use whole genome sequencing instead to detect them. The researchers chose 11 mutator alleles of genes representative of different processes such as homologous recombination, oxidative stress tolerance, splicing, transcription, mitochondrial function, telomere capping, and several aspects of DNA replication. They grew these strains for 200 generations and then did whole-genome sequencing of 4 to 6 independent progeny of each to find all the resulting mutations. Under these conditions, wild-type yeast accumulated 2-4 mutations per genome. In contrast, the mutator strains ended up with 2- to 10-fold more mutations. And most every type was represented: single-nucleotide variants, structural variants (showing altered chromosome structure), copy-number variants (amplification of certain regions or entire chromosomes), and insertions or deletions. However, while all of the mutator strains had accumulated mutations, the different types of mutation were in different proportions. For example, a mutant in the Replication Factor C subunit gene, rfc2-1, tended to give rise to transition mutations (changing a pyrimidine to a pyrimidine, or a purine to a purine). The same was true for the telomere-capping protein mutant, stn1-13. But the pol1-ts DNA polymerase mutant instead showed more transversions (changing a purine to a pyrimidine or vice versa). And a deletion of the nonessential RAD52 gene, encoding a recombinase, tended to cause mutations in the transcribed strand of genes, suggesting that transcription-associated recombination was compromised in those cells and this affected DNA repair. Positions of the accumulated mutations also differed between strains. The stn1-13 and pol1-ts mutants preferentially accumulated mutations in subtelomeric regions. Some of the alleles gave rise to clusters of mutations, while others did not. And, as has been seen in cancer cells, many of the mutator strains had mutations in regions of the genome that replicate late in DNA replication. Even though this work generated a huge amount of data (much more than we can discuss here), one conclusion reached by the authors is that even more mutant progeny of mutator strains, arising under a variety of different conditions, need to be analyzed using whole-genome sequencing to give a truly comprehensive picture of the mutational spectrum associated with each allele. But another conclusion is clear: that different mutator alleles do result in characteristic patterns of mutations. Given that some of these same genes have been found to be mutated in cancer cells, this work may help other scientists predict what mutations a cancer will develop. And that would really give us a bang for our research buck!